The first app capable of taming your feral data! 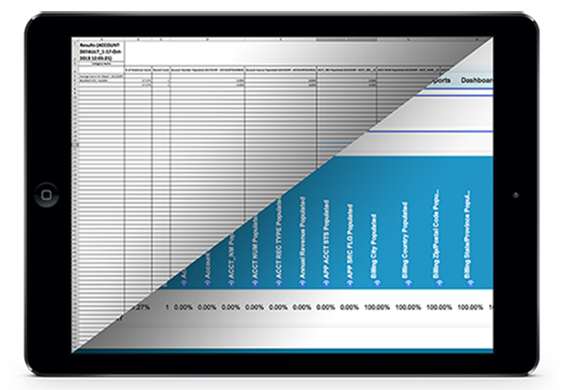 Save time and money, and transform your sales reach by identifying, analyzing and fixing your data holes. Data Salvation allows you to fully customize the app to track data completeness with the useful Wizards which come with the application. Giving you the option to monitor data based on your needs, the information being reported back will always be relevant to you. With a selection of clear to read and informative dashboard elements, you are given the opportunity to view a broad overview of the overall completeness immediately via your Salesforce Dashboard. These can be based off individual objects, so you can keep track of the specific problem areas within your data. Having the option to run analysis after analysis is essential in keeping on top of ever decreasing data completeness. With Data Salvation, you are given the opportunity to run the app time after time while comparing the results giving you a clear progression on how your data is improving. When viewing a single record, Data Salvation provides graphical evidence of the completeness of the data within that indivudual record. 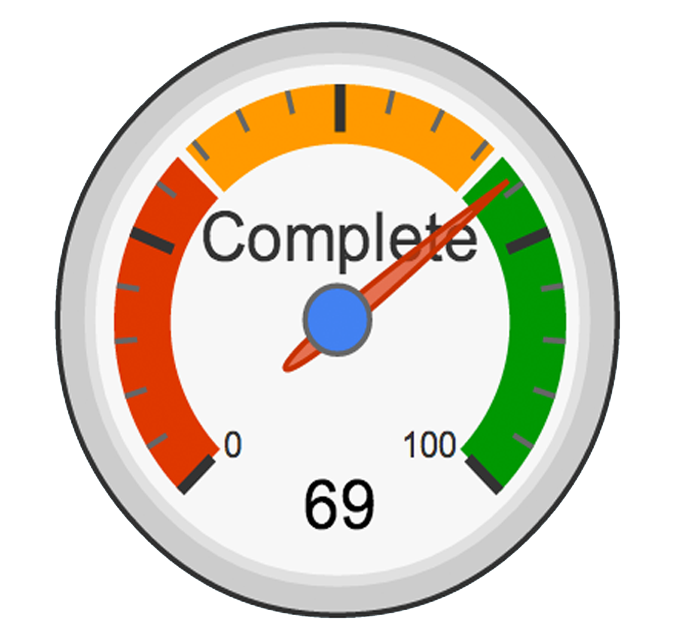 Not only will there be a Completeness Score to show how complete the data within this record is, but Data Salvation will also offer Improvement Tips on how to improve this and other records within your data to bring up the overall score for your Salesforce org. 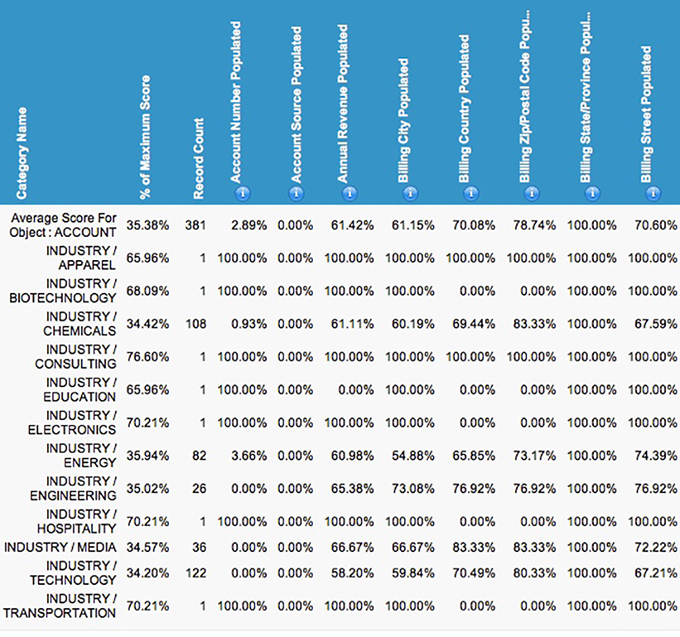 Full background logs give you the opportunity to monitor Data Salvation as it analyzes your data. Full, detailed information on processes run and errors encountered can be fully viewed to monitor and fully utilize the app to it's full potential. Every aspect of Data Salvation is easily found and readily available for your use. Stemming from the Control Panel, all components have separate tabs giving clear guidance as to where you need to be. Over time, all data develops problems. Empty fields, duplication, redundant information: the list goes on. Data Salvation gives you a powerful tool to identify the issues, separate out the vital data, and give you the assurance that your records are both complete and relevant. And it all happens securely within your Salesforce environment. Sales Team? Industry? Country? You can work with any standard or custom Salesforce field. 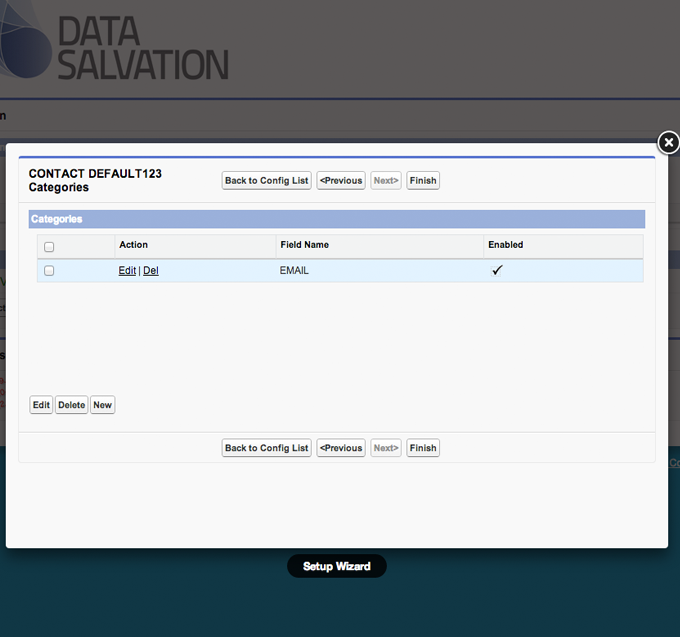 Data Salvation will locate areas of problem data, and drill down to view or export the problem fields. 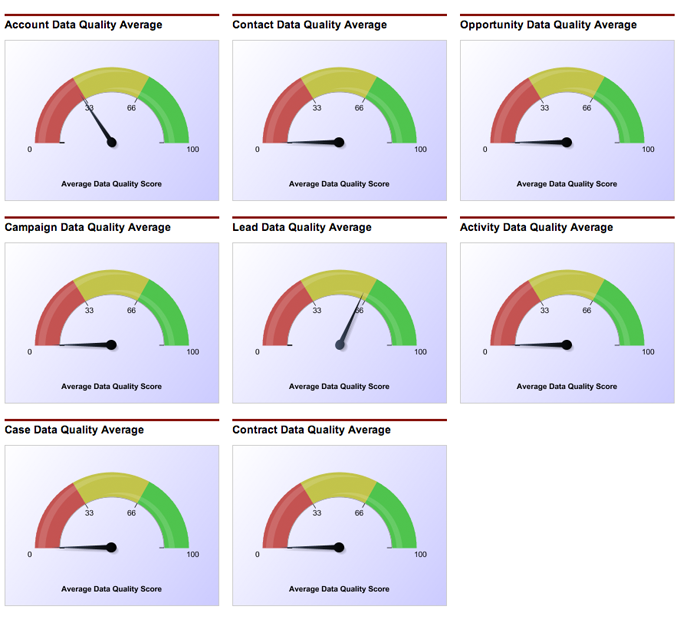 View field by field data quality and field completeness. 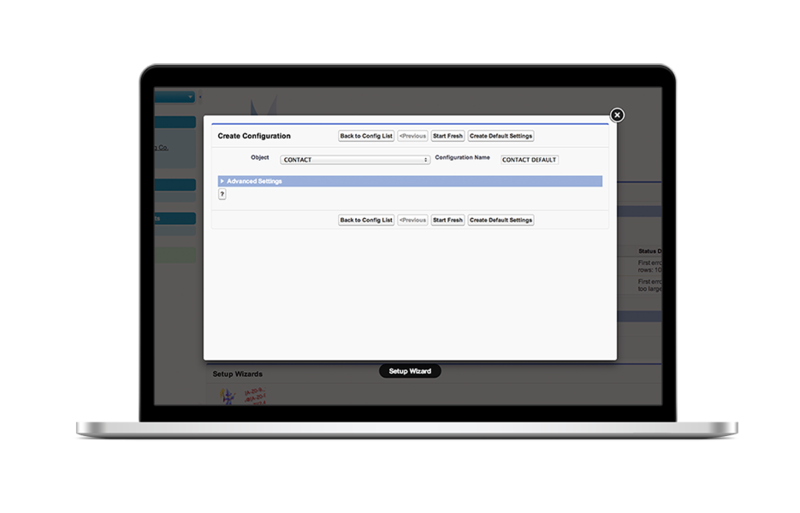 This can be as simple as checking for empty fields, but the easy-to-use configuration wizard supports a range of sophisticated evaluations. For example, use a REGEX expression to check the validity of a Zip Code or Telephone Number. Data Salvation includes an on-screen Scoreboard provided on each record. Using this feature allows the user to instantly see the completeness of the data within the record. 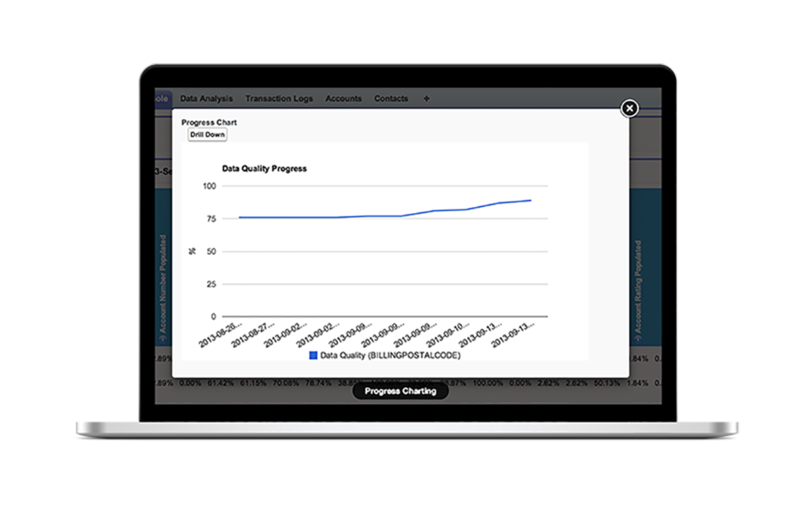 Giving the option to track over time data quality, Data Salvation gives you the power to use this information to drive sales and save money. The full version of Data Salvation. Up to 300 Salesforce users.